Added Hardware USB-serial Chip (CH340G) : this pretty much follows the same recent change on OpenSprinkler 2.2u. 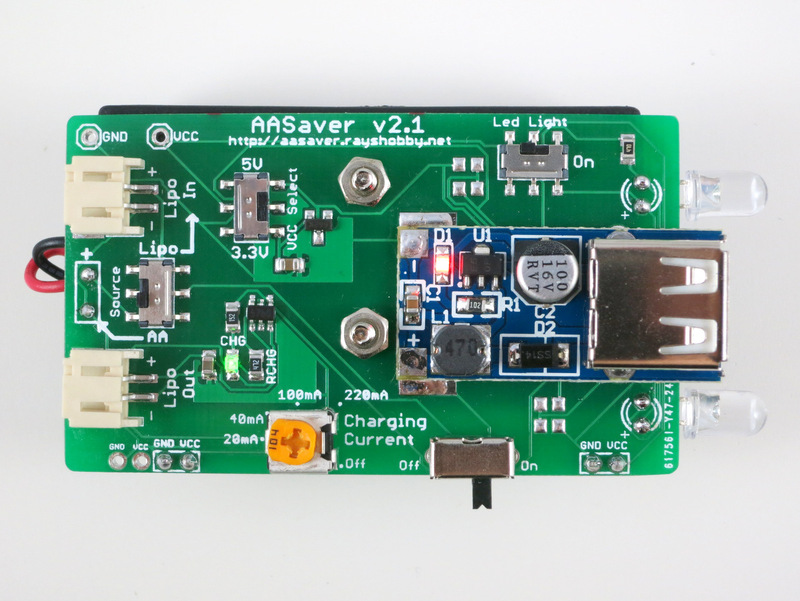 CH340G is a very inexpensive, easy-to-use USB-serial converter. It’s a low-cost replacement of the popular FTDI chip. With a hardware USB-serial chip, SquareWear can now use the same optiboot bootloader as standard Arduinos use. Also, cloud-based Arduino platform, like CodeBender would also work well with SquareWear. Even better, CH340G is supported out of box on Windows 7 and 8, so no more messing with installing USBasp driver, ever! Added Breadboard Pins (dual-purpose): people asked about the possibility of adding breadboard pins, so in this version there are 13 pins on the right edge with standard 0.1″ spacing. These pins are also neatly laid out to serve a second purpose: they match some of the common I2C sensors (particularly MPU6050 6-axis accelerometer) and bluetooth transceiver. This way you can easily plug in sensors and bluetooth transceiver as optional add-ons! 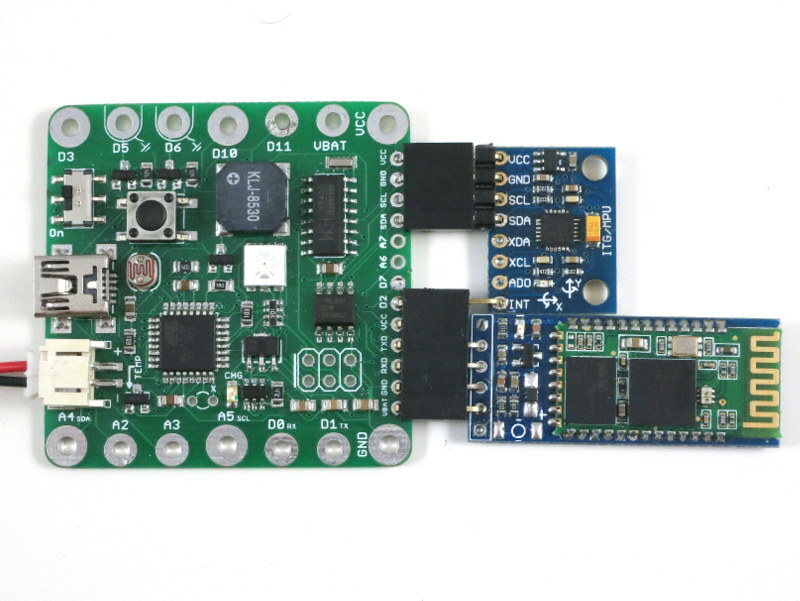 The picture on the right above shows how the board looks like with an MPU6050 and bluetooth transceiver plugged in. With this setup, you can easily make a project that involves motion sensor, and even transmit the signal wirelessly to a nearby computer! Upgraded the 3.3V LDO to a bigger chip (SOT-89 packaging) that can provide higher current. Added AT24C128 (16KB) EEPROM: this follows SquareWear Mini, where the added EEPROM can be useful for storing logging data and animation frames. Removed Build-in Rechargeable Coin Cell: I was quite reluctant to make this change, because the built-in rechargeable coin has been one of the main selling points of the original SquareWear. But to make space for the added USB-serial chip, and also to add the breadboard pins, the built-in battery has to go. On the plus side, this makes the design focus on using external LiPo battery, which has higher capacity and the charging current is also suitable increased. I will look forward to the MakerJam to receive some feedback / comments on the new design. I am a huge fan of the Square Wear 2.0 (and my recent purchase, AA Saver) but one of the major selling angles / points of distinction for me was the built-in battery. Having a power source on board in a slimline form is incredible convenient and powerful. Perhaps a Square Wear 3.x could take the board in a new direction but the 2.x series keeps the unique combination of sensors and the built-in battery? Thanks for your comments. It’s likely that we can use a through-hole type of battery jack and stack it on top of the microcontroller (and othe components that do not need to be seen). This way it can still keep the built-in battery. Would be an interesting experiment to see how this looks. I just recently purchased both the squarewear 2.0 and mini. For some things, the built-in battery works well, and it was one of the reasons I bought the squarewear (though conversely, the smaller size and the faster recharge time for the normal lipos were the reason I also went for the mini). As somebody who has a love/hate relationship with lipos, I find the are nice and small, but I find they are easy to knock off the table, and usually wind up dangling by the power cord. I’ve had to resolder several of the cords as they come out when the battery is dangling. Perhaps the solution is to have a clip underneath the squarewear to hold the 700ma battery you sell (you would still need to plug it into the JST connector). If you wanted to connect the led matrix with snaps like you do on the mini, perhaps the clip should have the 3 contacts on each side, so that you could mount the clip to the squarewear, and then underneath mount the matrix. This would give you a nice self contained unit that does the neopixels and has the battery, with nothing dangling. In terms of the squarewear, the one thing that I feel is missing is a potentiometer (yeah, I realize it is already crowded on the board, but if you are redesigning it any way for 2.3, maybe having a tiny pot. that you screw with a screwdriver would be useful to set power level for things like the 2 MOSFET pins or neopixels. Another thing I find useful at times is to have 1-2 toggle switches, so that for instance you can turn off the speaker if you are wearing a costume where it might be inappropriate for sounds. It might be time to switch to USB micro cables instead of mini cables, since mini is becoming less and less common. Speaking of cables, I find the Squarewear cannot be used with the SparkFun Cerberus USB Cable, which I keep on my computer, since I play microprocessor of the month at times, and it beats having separate mini, micro, and USB-B cables hooked up the computer. As I said, I have plenty of single purpose cables, but it is slightly annoying to actually have to hunt one up. @Michael: thanks for your thoughtful comments. About power: a solution I am considering is to have a through-hole 2032 battery holder that can be soldered and sit on top of the circuit board if needed. This will be provided as an option so users who want the external Lipo do not need to do so, while users who prefer built-in battery can use this option. It might not be feasible but I will give it a try. and I know there are smaller, SMT ones (trimmer). They are a bit fragile, but small enough to fit on the board. About micro-USB: indeed I am considering switching to microUSB and that can save some space. If it is on top, the battery might interfere with the light sensor, push button, or the ICSP header. It might be better for the battery to be attached underneath the unit (ala RFtoy), unless you are going to add the contacts for the 5×7 color LED matrix. However, given how power hungry the LEDs are, I suspect most people would not try to power the LED matrix for long with the coin battery, so you could have both sets of contacts, and let the user choose which one to use. Well obviously having a full size POT that I could turn without tools would be nice, but it might be too big. At least if I could turn it with a pocket screwdriver, it would be helpful. Speaking of the coin cell, I didn’t notice the recharging capability on the RFtoy. Would I need to use something like squarewear 2.0 to charge the cell, or could I just plug it into the USB? I was actually looking for a recharger for the LIR2032 (to complement getting some extra LIR2032’s to keep around in case I need just a little bit more power), and the cheapest I could find was nearly the price of the squarewear 2.0. So I would hope people wouldn’t need a separate charger for the battery. The main reason I didn’t want to mount the battery at the back (like RFtoy) is that I want to keep the back flat, which I assume is desirable for wearable projects. But I agree that mounting it from the front imposes more constraints as we don’t want it to block the button, light sensor, and LED. So I think your suggestion definitely makes a lot of sense and I will consider it. The RFtoy doesn’t have a built-in Lithium charger I wanted the power option to be more flexible — for long-term sensing people probably want to use AA or AAA batteries. Also, I was being careful about putting additional built-in components, in order to minimize the current consumption in sleep mode. But it’s certainly possible to add a LiPo battery jack so someone can plug in a LiPo battery if needed. Will the 2.3 be available for sale? We have some available in stock. When you order SquareWear, you can make a note that you want the 2.3 version. The price is the same as 2.1/2.2. Although we haven’t officially started selling 2.3, we’ve been using them at local college workshops. I started to order another Squarewear 2.x ( I have 4) but didn’t see a place to add a comment. Could you be a little more specific on where to specify the 2.3 specifically. I see, will do. Do you anticipate these going into volume production? They are perfect for my lab. I do have a few of these modules in stock, I haven’t had time to create product page for them yet. These are pretty standard modules you can find on eBay or other places. If you want to buy from us, send an email to [email protected]. Thanks. There are a few tool brand names in the world which can never be forgotten and their quality is simply unbeatable. They use a special bit and deliver thousands of blows per minute to smash through brick fast. It is the best heavy-duty cordless drills reviewed. 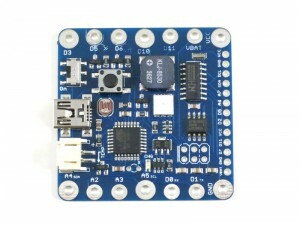 squarewear 2.3 is perfectly suited for use of imu sensor and bluetooth module. nice modification!! but the battery cell in v2.0 was a boon. 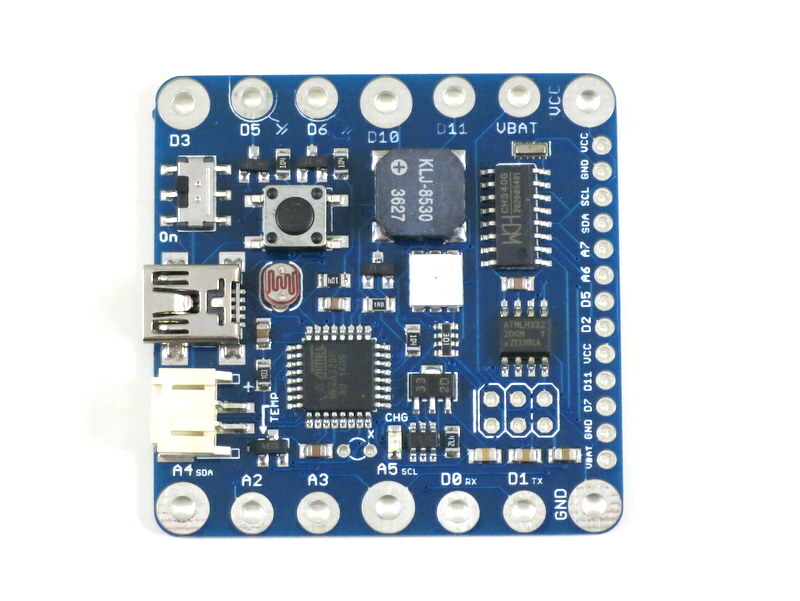 However is it possible for us to accomodate bluetooth module and imu sensor in v2.0 itself? Is there any option of adding solar into it, if yes then how and if no please suggest the changes that have to be done to add it. Please also tell about solar specifications too. I also have a request that to please add solar in next square wear version. Did you mean to use solar to charge battery or to provide power directly to SquareWear? In general you can connect solar power to GND and VIN. SquareWear has internal voltage regulator that drops that to 3.3V, which is what the microcontroller operates on. There are 168 Posts and 2,441 Comments so far.